The Maritime Archaic, an archaic adoptation present in Maritime Canada and coastal Maine, emerged during the Middle Archaic period about 8000BP, and continuing into the Late Archaic.These folks were deep sea hunters, as evidenced by swordfish remains present at their camps. They also depended on sea mammals as a major part of their diet. 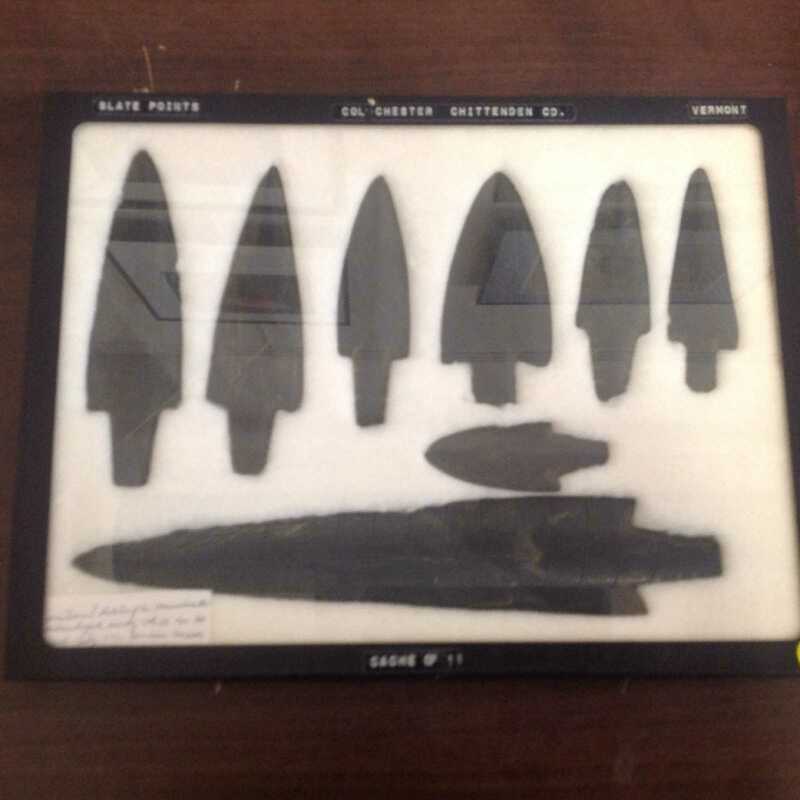 Like other circumpolar cultures, the people of the maritime Archaic developed a ground slate technology to produce weapons most suitable for deep sea hunting. The Eskimo people also produced similar ground slate weapons, as did the cultures of polar Scandinavia. 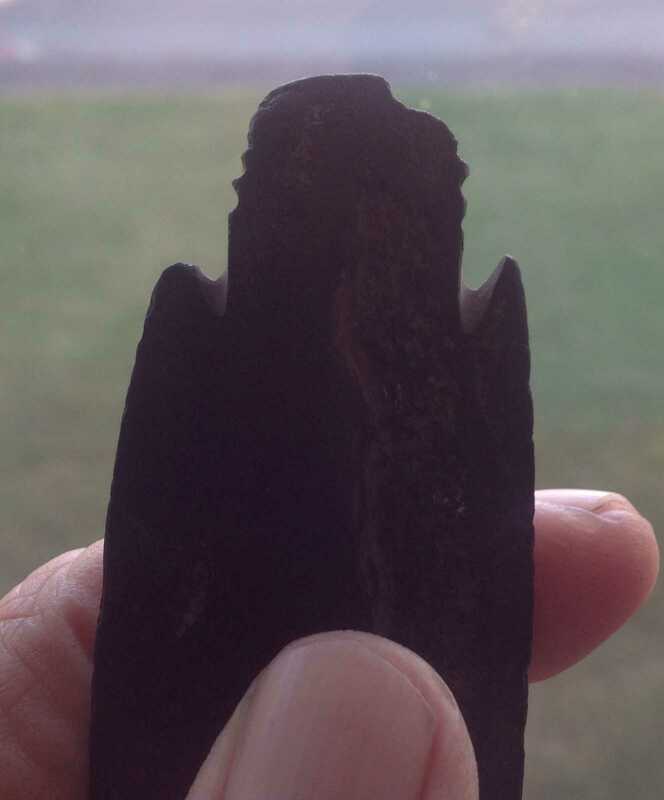 Although the Maritime Archaic culture area does not extend south of coastal Maine, ground slate points are found in most other northeastern states to a far more limited degree. Whether via trade or simply borrowing a good technology for sea mammal hunting. Last edited by CMD; 02-17-2016, 12:15 PM. 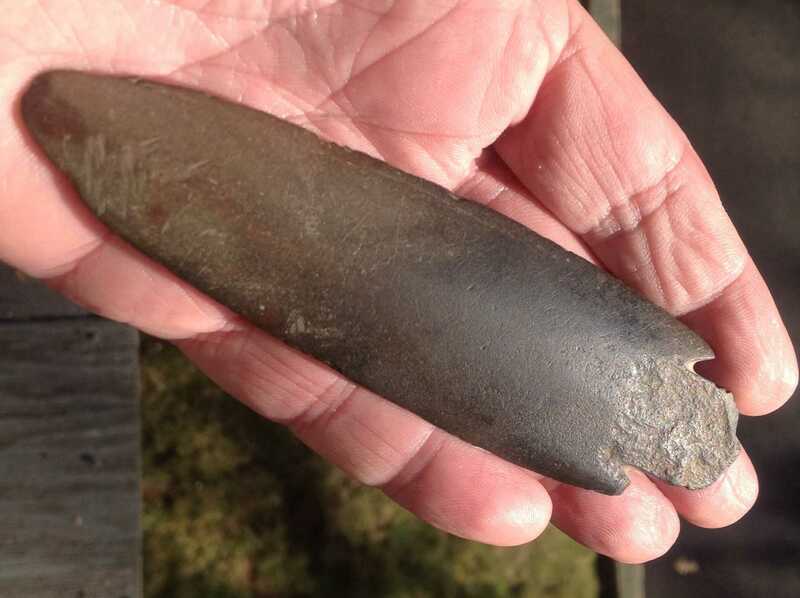 The so-called Moorhead Phase of the Maritime Archaic on coastal Maine was not the only cultural tradition in the Northeast that utilized ground slate weaponry. They were certainly the best known, and it is that phase we refer to by the term Red Paint People. In fact, the Vergennes Phase of the Laurantian Tradition also made ground slate weapons. 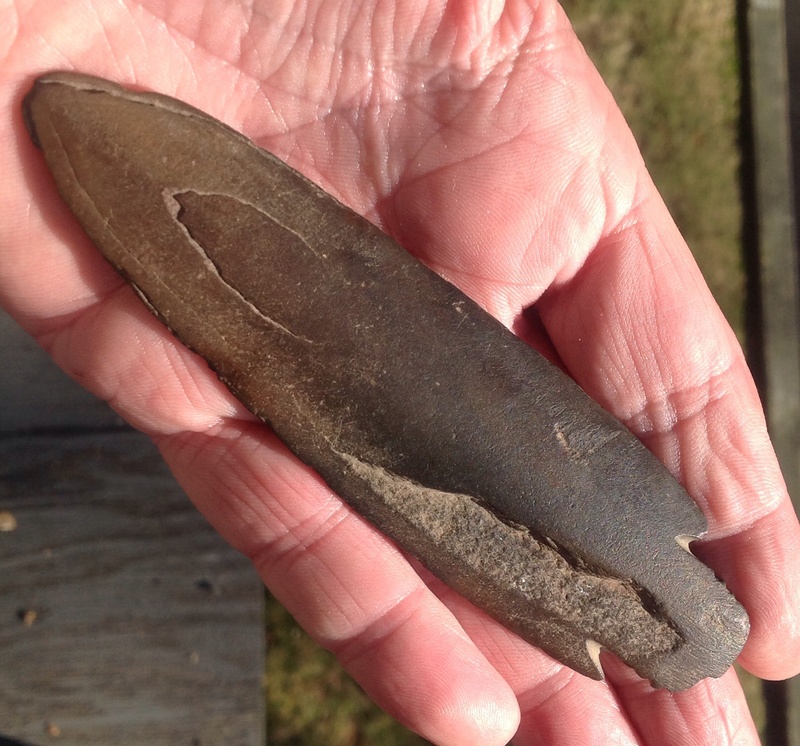 The large slate bayonets found in Red Paint burials are not characteristic of the Vergennes Phase. 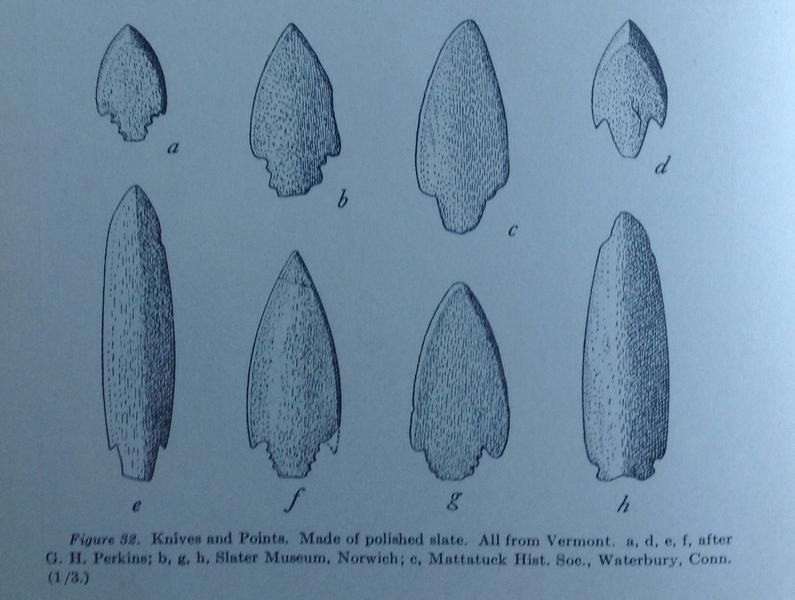 But the utilitarian slate projectiles of the Vergennes Phase are similar to the utilitarian ground slate points of the Moorehead Phase on coastal Maine. Due to the Vergennes Phase of the Laurentian Tradition, ground slate technology is found throughout interior New England and New York in the Northeast during the Late Archaic. The chipped projectile point associated with the Vergennes Phase of the Laurentian Tradition is the Otter Creek point, so ground slate points are found in assemblages containing Otter Creek points, which were somewhat earlier as well as contemporary with the Brewerton sequence of points, also a part of the Laurentian Tradition. 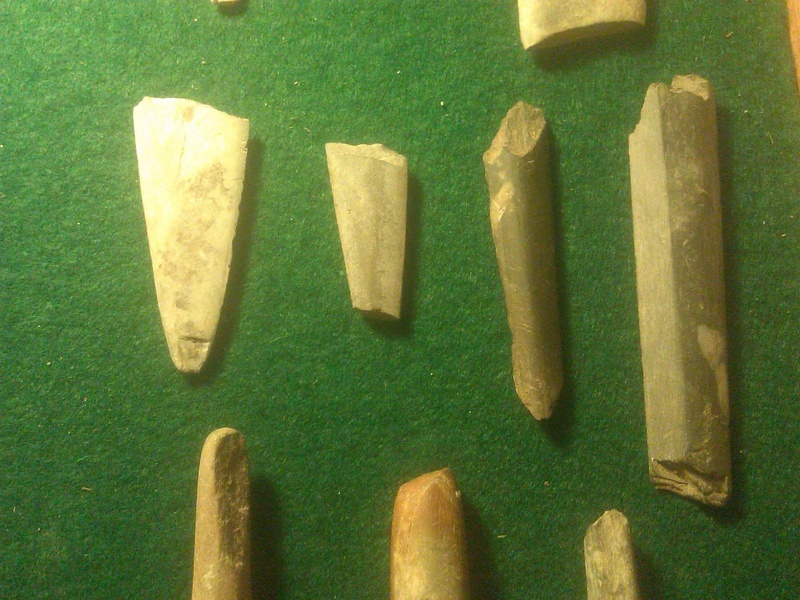 Vergennes Phase ground slate projectiles from Vermont, many with notched stems. Illustration from Willoughby's "Antiquities of the New England Indians"(1935).